The legal basis of a key weapon in the fight against drugs in sport is set to be challenged in a Belgian court. In a move that will alarm global anti-doping authorities, the court will be asked to rule whether "whereabouts" breaks European Union privacy laws. Whereabouts is the system drug-testers use to track athletes for tests. The Belgian lawyer who helped put the legal challenge together likened the current system "to putting a whole town in prison to catch one criminal". "There is no need for all these people to give their whereabouts for the next three months - that's a draconian measure," added Kristof de Saedeleer, a Brussels-based solicitor who specialises in sports law. De Saedeleer is acting on behalf of 65 athletes - cyclists, footballers and volleyball players - who have been brought together by Sporta, the organisation that looks after the interests of professional sportsmen and sportswomen in Belgium. The case is aimed at the Flemish regional government, which is responsible for anti-doping in the Dutch-speaking part of Belgium, and results from the government's hard-line imposition of the World Anti-Doping Agency's (Wada) updated code on 1 January, 2009. That code, a tightening of testing standards that have been place since 2004, is the framework upon which all anti-doping efforts rest, and whereabouts is perhaps its most potent tool. The idea is simple: drug-testers must be able to administer no-notice, out-of-competition tests anytime, anywhere. This is believed to be the only effective deterrent against cheats. To do this, however, the testers must be able to find the athletes - the whereabouts system is the solution. Any athlete on the national testing register (which is effectively any elite athlete in an Olympic or major team sport) must make themselves available to testers for one hour a day, between 0600 and 2300, three months in advance. This is done online and can be updated by email or text message. But failure to be where you said you would be, if the testers come calling, counts as a strike. Three strikes in an 18-month period and you are out, with an automatic ban from competition, as Olympic and World 400m champion Christine Ohuruogu discovered to her cost. Failure to fill out the form correctly - or failure to provide full details of your competition and training schedules, three months in advance - would also count towards your three-strike limit. The Belgians behind the challenge were informed of the new regime by letter shortly before the code came into force. Bjorn Vleminckx, a striker with Belgian football side KV Mechelen, is one of the 65 athletes upset about its imposition. "We have to inform them of everything," the 24-year-old said. "If I want to go to the cinema, I have to update the site to say I'm going to the cinema. "But I can't always get to a computer. If they call me and I'm not in the right place they can suspend me. I don't think that's right." De Saedeleer believes the whereabouts system contradicts "fundamental human rights laws", in particular Article 8 of the European Convention on Human Rights, which deals with an individual's right to privacy. 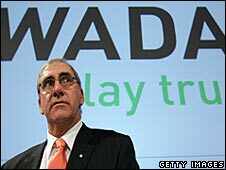 A spokesman for Wada, however, rejected this claim, and pointed out that at no point during the two-year review process did any group of athletes express concerns relating to privacy. "In fact, the 2009 international standards for testing were drafted with the protection of athletes in mind by providing appropriate, sufficient and effective privacy protection, taking into account various international and regional data protection laws," he said. "The requirements were actually reduced (to one hour a day) from the 24/7 requirement previously applied by a number of anti-doping organisations." He also stressed whereabouts was a justifiable and proportionate response to the problem it was brought in to address, the endemic cheating that has ravaged the likes of the Tour de France and international track and field. The Belgian challenge is at a very early stage - no ruling is expected until late 2009 - and it has not yet reached the EU-wide level, so fears of a precedent-smashing judgement like the Jean-Marc Bosman ruling, which revolutionised football in 1995, are premature. But the authorities are clearly concerned. 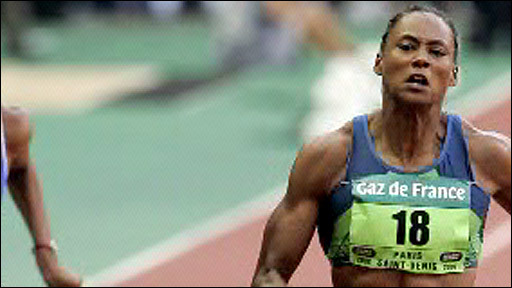 Andy Parkinson, the head of UK Sport's drug-testing agency, admitted any threat to the whereabouts system was worrying. "We would have to go right back to the start and reassess how we test athletes and protect vulnerable athletes who under pressure (to cheat) from coaches and peers, because we want to stamp out doping in sport," said Parkinson. "But if we can't get access to athletes, and we don't know where they are, it would make our job almost impossible." Parkinson, therefore, will be alarmed to hear of two further challenges to whereabouts that are in the pipeline from FIFPro, the international umbrella group of football players' unions. The Dutch-based organisation is asking its 42 member associations to write to their respective data protection agencies, complaining about the code. It is also believed to be considering a challenge on the basis of the EU working time directive, as that says every employee is entitled to 20 days of annual holiday. FIFPro questions if having to make yourself available for a drugs test 365 days a year can possibly comply with this entitlement.